MicroGenesis offers AutoCAD, LT, Inventor, Revit, 3ds Max at best prices, online. 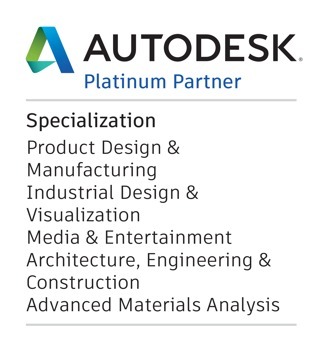 Purchase from Autodesk Authorised Reseller and Autodesk Platinum Partner! MicroGenesis is a 21 year young software and service provider to the design, manufacturing and construction industry with core domain knowledge and expertise in CAD/CAM/CAE and BIM. Our goal is to contribute to the country's growth by implementing world class technology and industry best practices. Our success comes from our subject knowledge experts who understand business processes and suggest solutions to reduce turnaround time, optimise cost, improve quality and drive innovation. Our customers see genuine business value is partnering with us which has enabled us to become the partner of choice to the design community in India. MicroGenesis is an Autodesk Platinum Partner and Authorized Reseller for AutoCAD, Revit, Inventor and 3ds Max. We also offer Adobe Software solutions and Trimble SketchUp. Apart from sales, our highly acclaimed team of experts offer consultation, training and support. Working closely with Autodesk, we provide the best solutions for your design challenges. Call us now and see the difference! Experience the MicroGenesis Edge and get ready for the future! © 2019 MicroGenesis, All Rights Reserved.